LOS ANGELES, March 9, 2015 – Nekrogoblikon, the Los Angeles-based band who describe their music as “goblin metal” and became internet sensations with their day-in the-life-of-a-goblin video for “No One Survives,” return with new album, Heavy Meta on June 2. A new song from the album, “Full Body Xplosion,” can be heard here: http://youtu.be/_UHh0HqcXGU. The 10-song album arrives via the multimedia outfit’s new label, Mystery Box, which is distributed by Razor & Tie. Mystery Box will serve not only as the band’s label but also as a freestanding production company headquartered in downtown Los Angeles. “”We’re excited to finally announce the launch of Mystery Box, which will not only serve as a label for Nekrogoblikon and other musical acts, but also as a creative hub for artists and projects outside of the music realm. It’s going to be a lot of fun,” said guitar player Alex “Goldberg” Alereza. 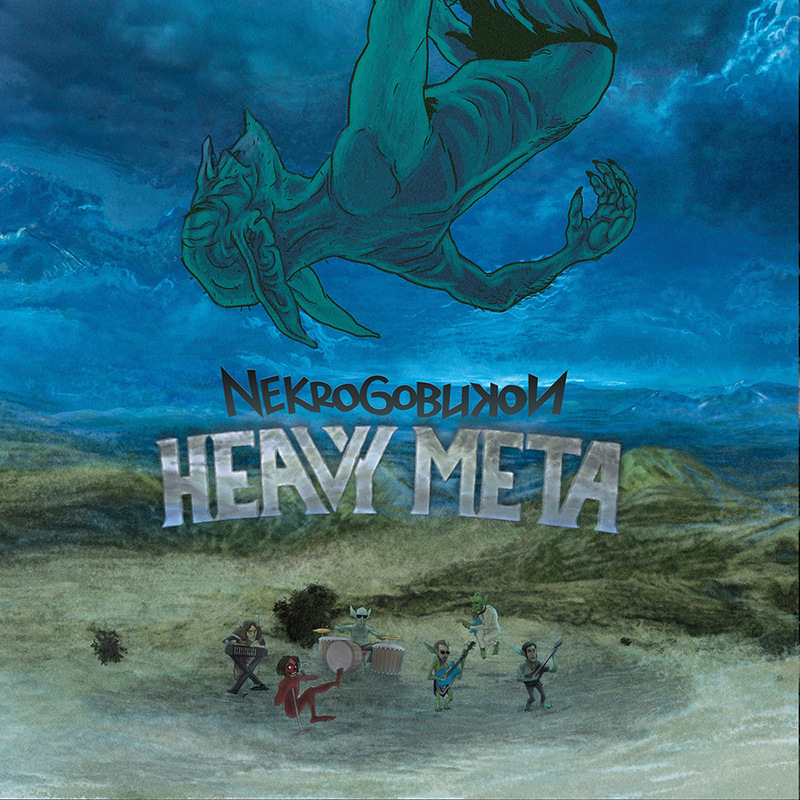 Heavy Meta was produced by Matt Hyde (Deftones, Children of Bodom), Nicky Calonne and Nekrogoblikon with Matt Good mixing.